Classic Diamond shape trophy on simple tapering base for elegance. 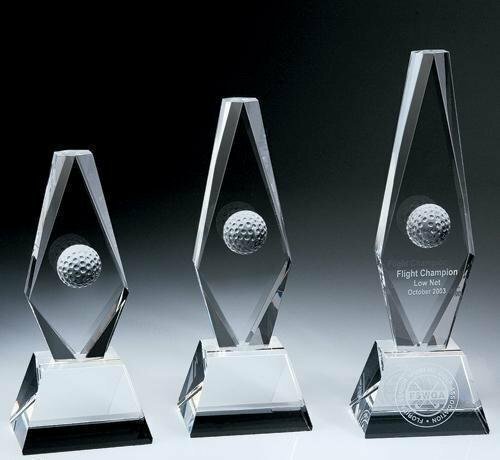 Simple yet if you are looking for something simple and classic, Diamond Golf Trophy is the option. 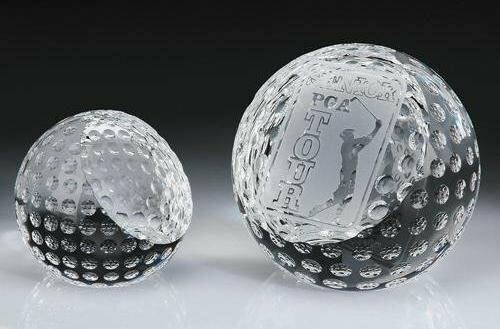 Golf Ball Paper Weight is basic paper weight cleverly made with golf ball with flat cuts for engraving and sitting on a surface. 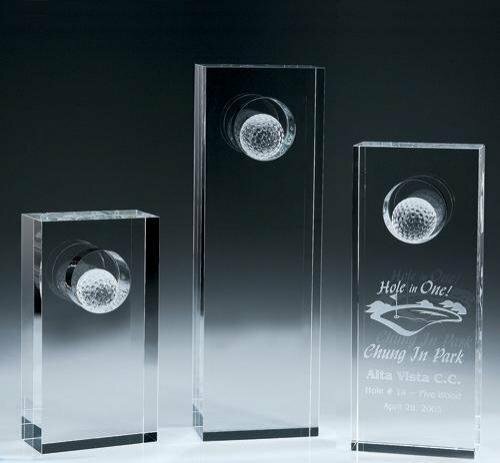 Golf I Tower is dynamic golf award with a miniature crystal ball in side the cup in solid crystal block award. It has good space for engraving.